Individual dental plans are designed to offer benefits to you on a number of different dental procedures. One of the biggest reasons that people don’t get to the dentist is the high cost of care. Dental care costs are out of out sight and often out of the reach of most individuals. The cost of dental insurance is second only to health insurance costs, as far as personal care goes. What Types of Individual Dental Plans Are Available? Individual dental plans provide benefits to just the one person that is enrolled in the plan. Unlike family dental plans, which cover the entire family, these plans will give you benefits for your personal dental care only. These plans are ideal for single people, especially those individuals that don’t have access to insurance through an employer. By having a good dental plan, you will find many of the more expensive treatments much more affordable, depending on the type of plan that you choose. This is where many people get confused. Read on. 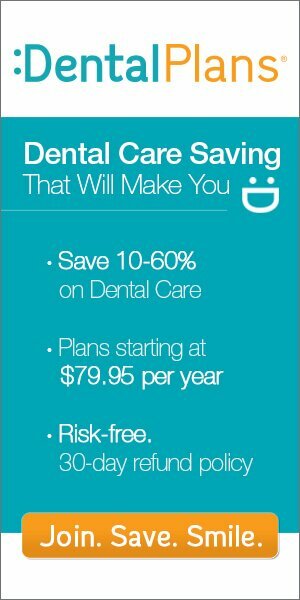 Discount Dental Plan or Dental Insurance – Which Do I Choose? One of the first things that you should consider are the options in coverage that are available to you. In most cases, the only types of individual dental plans that you should even be considering are discount dental plans, rather than dental insurance. There is a good amount of difference in these and most people are confused as to which plan is the best. For example, dental insurance has limits on how much you can use per year, has costly deductibles and premiums that must be met and does not cover pre-existing conditions. That means that if you are in pain right now and need to see a dentist, but have no insurance, then buying it at this point would do you no good because the insurance company would deny your claim, based on the fact that you already had an existing problem at the time that you bought the policy. With discount dental plans, however, you’ll get a big discount for visiting any one of the over 100,000 participating dentists nationwide with no questions asked. Also, since discount plans are NOT insurance, you won’t have any type of health restrictions to keep you from using them. You will likely have more dental care options with these plans as well, especially if you need to see a dentist immediately. For example, dental insurance does not provide any coverage for cosmetic dentistry, such as having your teeth whitened. On the other hand, discount dental plans will provide discounts of 10% to 60% on dental braces and dentures, some plans even provide big discounts on other types of cosmetic dentistry. The cost of dental care is on the rise. While it may not quite be at the level of health care just yet, it will continue to rise at the same rate. Unfortunately, there are many individuals that will need to visit a dentist this year that don’t have any type of dental coverage and the costs will be huge. Some will face costs that must be paid at the time of service as well, making it even more difficult to get rid of that toothache or get your child in for a cleaning. However, with the help of a discount dental plan, whether a family or individual dental plan, you care will be much more affordable. If you are not able to get any type of dental coverage through your employer, it just makes sense to have one of these discount dental cards in your purse or wallet. Those that are in need of dental care should have some way to avoid having to pay full price to be seen by a dentist. If you need to be seen by a dentist, don’t put this off any longer. Get the information you need about individual discount dental plans right away. You may be pleasantly surprised at how inexpensive these plans really are. For more information about over 30 nationwide discount dental plans, or to find a participating dentist near you, simply visit Discount Dental Plans or enter your zip code in the light blue box Right Now at the top of this page.